Expecting leather or Alcantara in that new luxury car? 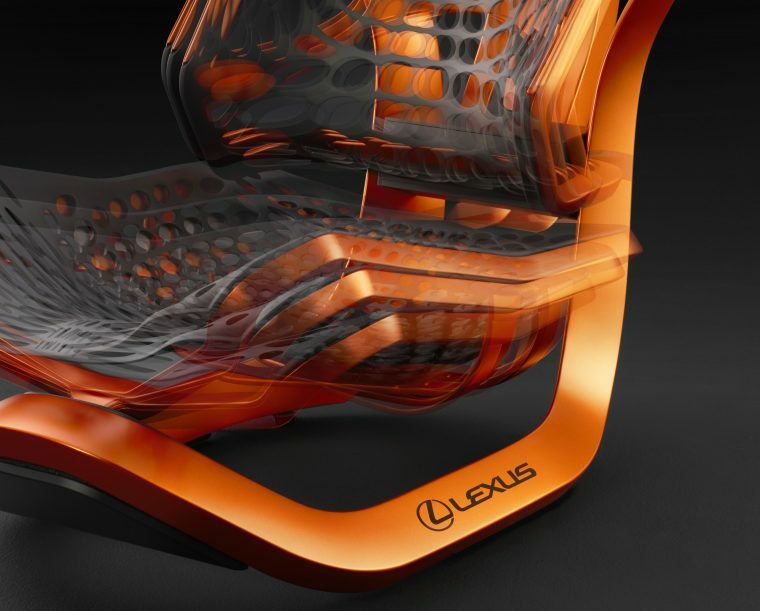 Lexus says that in the future, you might be looking at this: a “Kinetic Seat” built out of a synthetic spider silk material called QMONOS. We’re sure that bold claim deserves an asterisk of some kind (for instance, “toughest” by what definition?) but there’s no denying that spider silk has interesting properties—and that it makes for quite the car seat material. Lexus’s Kinetic Seat Concept will debut at the upcoming Paris Motor Show alongside the UX concept car that has already been teased. Instead of supporting you with the usual array of foam cushions, the seat supports you much like a hammock would while providing the flexibility necessary to fit the shape of anyone who might sit in it. According to Lexus, the seat’s ability to evenly spread weight, combined with its pivoting backrest and movable cushion, make it extremely ergonomic. And because the fabric is supposed to be tougher and better able to absorb shocks than leather or cloth, we’re starting to wonder if the Kinetic Seat Concept has any downsides. We imagine one would only have to get used to the new look—though that can probably be adapted in a variety of ways—before one would wish for these seats to appear in every new car. Of course, that does all hinge on the answer to the most important (and yet unanswered) question: how much would it cost?